"Louis Ward walked across the Green Hill Mall parking lot in Southdale, Minnesota, reading the back cover of the Seinfeld: The Complete Series DVD box set that he had just purchased. He did not notice that black van with dark tinted windows creeping up behind him." The Tawawa House is a resort in Ohio. Like American resorts, it provides a nice retreat with comfortable living quarters, spacious grounds and private structures. Privacy is the main reason Southern white men frequent the resort every summer: to vacation with their black enslaved mistresses. The place is an open secret. Lizzie, Reenie and Sweet are regulars at Tawawa House. They've become friends and look forward to reuniting every summer. The dynamic of their friendship changes when newcomer Mawu comes to the resort, reminding them of Tawawa House's location (on free territory) and questions freedom. Running away is more than a notion. More than just their lives are at stake. There is family and children still South to consider leaving behind. For one mistress in particular, running away means breaking the emotional bond with her master. One tragedy sets off a string of events and immediate decisions must be made. Before I delve further into my review, let's take a look at the beautiful cover. It has caught my eye since it released about five years ago. I specifically remember seeing copies during the Borders closeout sale. I read this book in hardcover format and carried it around. The cover image and one-word title makes you take notice. Oh, the looks and questions I got! (c. 1290): A girl, maid, young woman; a female child. (1362): A wanton woman; a mistress. (1812; 1832): A black or colored female servant; a negress. (1848): A colored woman of any age; a negress or mulattress, especially one in service." 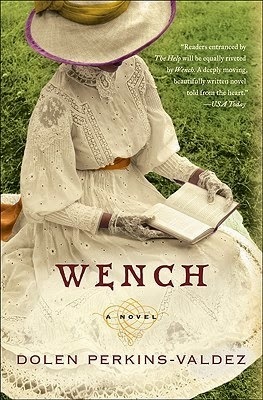 Wench is one of the better debut novels I have read. Sometimes authors take risks on their first novel and other times they play it safe. Author Dolen Perkins-Valdez did a great job of exploring the relationship between a slave owner and his mistress. I'm glad she tackled a subject not well-covered while showing how women in the same slavery situation react differently. Per the Author's Note, Wench is fiction but the Tawawa Resort did exist in Ohio. Wow. It took a creative mind to write a story following the lives of four women that visited this resort. Dolen Perkins-Valdez has impressed me with this debut novel and I look forward to reading her new release Balm (expected publication in May 2015). Watch the video below of the author reading from Wench then accept my recommendation to read this novel. 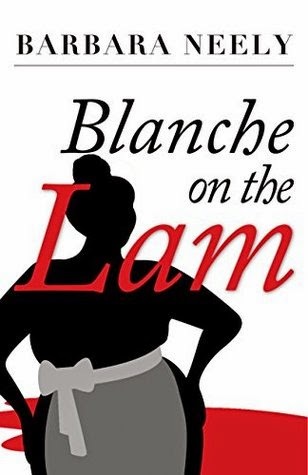 My Series Sunday pick is Blanche on the Lam, the first book in the Blanche White series by Barbara Neely. 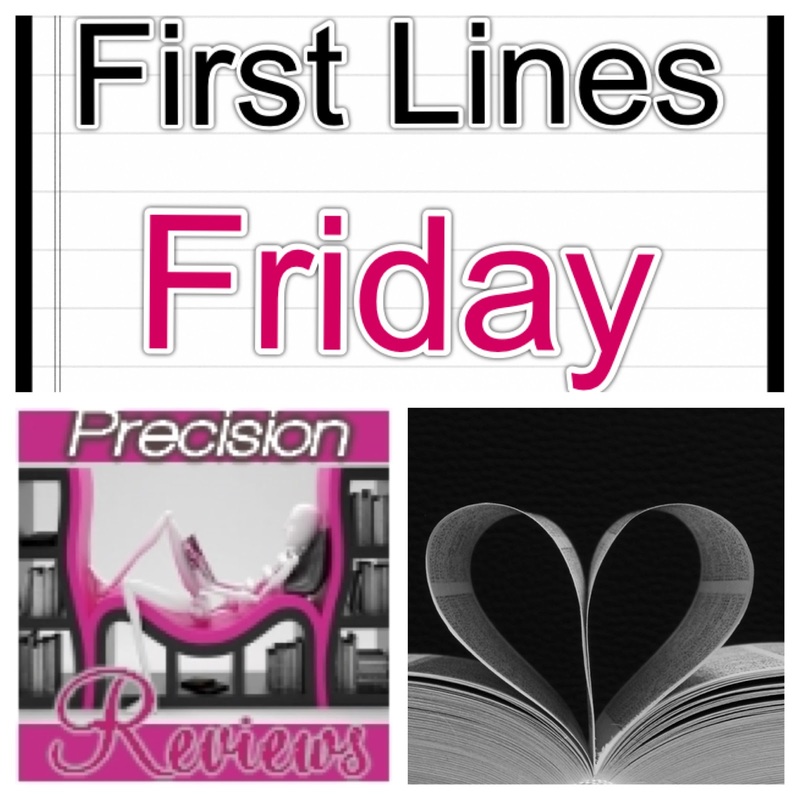 I heart series so I was happy when I got the opportunity to review the re-release of the first and second book in this mystery series. Plus the main character is a woman of color! Perfect Series Sunday pick for Black History Month. It starts off with Blanche in court—not as the good girl. She was being sentenced for writing bad checks. Escaping the courtroom through the ladies' restroom, she hides out working as a maid. 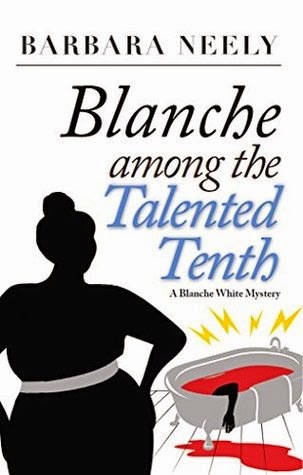 When murder disrupts the wealthy household of her employers, middle-aged Blanche becomes the domestic worker/sleuth. Main character Blanche is funny, smart and a southern nosy charmer. She is a character you cannot help but like. 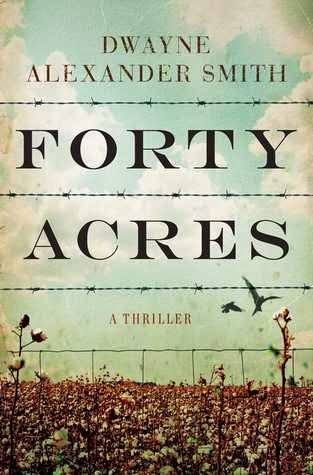 I was skeptical of her character from the opening scene but the author did a good job of making readers like and trust Blanche. I will definitely continue reading this series. "The size sixteen shorts slipped easily over her hips. Blanche gathered the excess material at her waist and admired the contrast between her deep-black skin and the nearly colorless cloth." Scandalous murder plot. True life mystery of 1916. A poisonous plan. A trial that gained attention around the United States. Poisoning the Pecks of Grand Rapids is the nonfiction story of how a man with boyish looks charmed a wealthy young woman into marriage with plans to hijack her inheritance. The Grand Rapids Herald called it "one of the subtlest...most daring poison plots that the criminal history of the country has known." But Arthur Warren Waite seemed anything but subtle. Quite obvious and sloppy in covering up his tracks. What he believed to be a grand scheme in gaining his wife's inheritance turned out to be a flawed plan. Writing books based on a true story can be iffy. I am a reader that prefers fiction; however, I occasionally like to read true stories. Sometimes they reel me in like a Lifetime movie. Other times, not so much. Poisoning the Pecks of Grand Rapids reads like an extra long news article and court transcript summary. It states the facts in a choppy style. 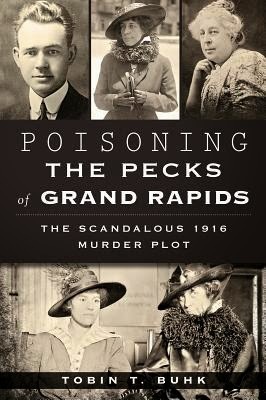 I recommend reading Poisoning the Pecks of Grand Rapids to support a local author if you are in the Midwest or for history buffs. 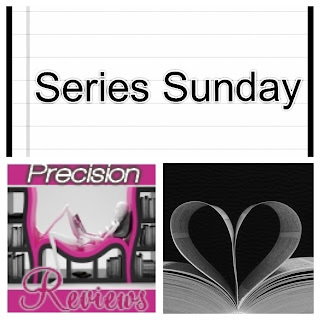 My next Series Sunday pick can be your choice! Please recommend your favorite series by a black author. Thanks in advance, bookhearts. "Ruby Bell was a constant reminder of what could befall a woman whose shoe heels were too high. The people of Liberty Township wove her into cautionary tales of the wages of sin and travel. They called her buck-crazy. Howling, half-naked mad." 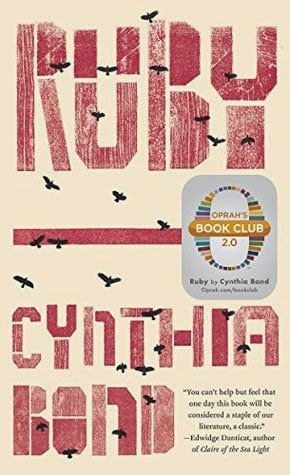 Join me in reading the new Oprah's Book Club 2.0 selection. What a beautiful cover. Very eye-catching. Add in a synopsis about an art thief and possible romance and this book caught my interest enough to request an ARC. Juliet loves art; Juliet's father is an art thief. Put the two together and you've a got a girl who steals paintings from galleries for a living. She doesn't sell them but instead adds to her own collection. Until goons come around demanding that Juliet come up with the money her father owes. Too bad her father is in jail and cannot pull off a heist of his own. Juliet comes up with a plan to go undercover as a wealthy man's nanny and steal his Marilyn Monroe painting. What she doesn't expect is to fall in love with the kids and maybe Edward himself. 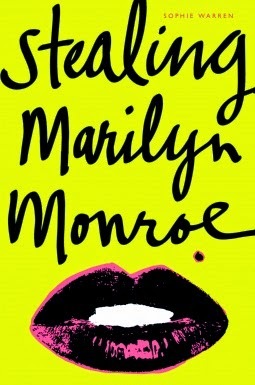 Stealing Marilyn Monroe may start off slow but by the third chapter the author finds her groove. The writing is then engaging, flows and will hold readers' interest. An unconventional romance that I enjoyed reading. It is such a treat and an honor to read the correspondence of the iconic jazz poet, novelist, playwright Langston Hughes. He is most famous for his work during the Harlem Renaissance. Through a selection of his letters, this book tells his life story. In his own words, it tells his financial and emotional struggle through college, his relationship with his father, his political views and inspiration to young people. His personal letters are to relatives, fellow artists, friends and writers such as Zora Neale Hurston, James Baldwin, Richard Wright and Alice Walker. The correspondence include Langston's views on life and social justice. Throughout the letters, there are quotes from his poems that help paint the picture of a literary genius. If you have a love for writing, you will appreciate reading Langston Hughes' journey through selected letters that he wrote. While reading, it felt like I found a treasure box. 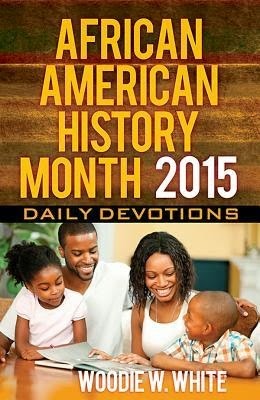 This is a great selection to read anytime, especially during Hughes' birth month and Black History Month. 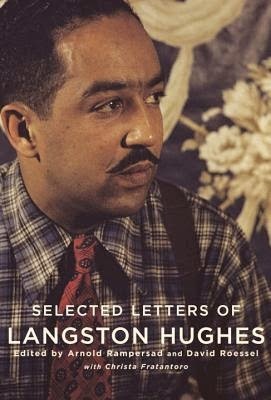 Selected Letters of Langston Hughes is available in hardcover and eBook today. It is a great addition to personal book collections. DISCLAIMER: This book was received directly from the publisher/author for review purposes only. In no way does it influence my review. The opinions I have expressed are my own. 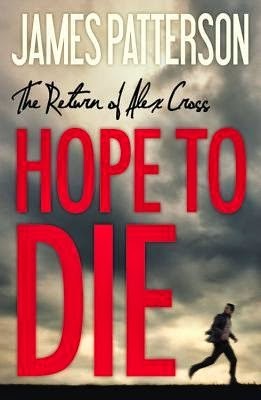 My Series Sunday pick is Hope to Die, the 22nd book in the Alex Cross series by James Patterson. Alex Cross has the worst luck when it comes to love. In his own words, every woman he's ever loved has ended up dead or traumatized. His first wife Maria died in a drive-by shooting. His youngest son's mom was taken hostage. Although rescued, it damaged their relationship. And now his second wife, Bree, has been taken and is possibly dead. Hope to Die picks up where Cross My Heart left off. Detective Cross is being stalked by a psycho named Thierry Mulch. He took Cross's family—wife Bree, grandmother Nana Mama and his three children. Frightening. Patterson created a good psycho character on paper. But not when it came to carrying out acts. Not when it came to making the reader feel the panic of Alex searching for his missing family before they are killed off one by one. Where was the thrill in thriller? Where was the evil in the antagonist? Le sigh. I don't even know how to say this book fell flat. What a disappointment. It had the potential to really be a thriller but instead I finished with, "Oh. Okay." Chalk it up to be another recent Patterson dud. 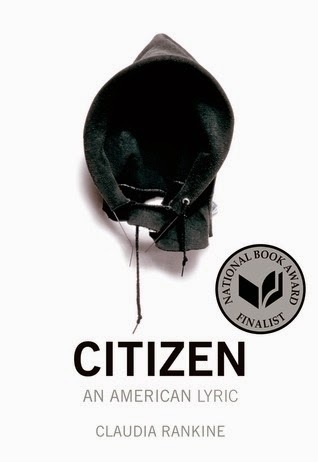 Citizen: An American Lyric is a follow-up to Claudia Rankine's Don't Let Me Be Lonely: An American Lyric. Though I did not read her first book, this bold new book is right on time. It recounts ongoing events in the twenty-first century such as Hennessy Youngman's Art Thoughtz, Hurricane Katrina, Trayvon Martin, Serena Williams, CNN and other media. Reading about these events you question whether they are slips of the tongue or intentional offensives. Either way, it affects our stress level and our idea of citizenship in a so-called post racial society. Citizen: An American Lyric is in essay and image format. I am not a fan of poetry but could relate to some of the short essays. Too many times to count I have heard, "I didn't know you were black!" So many times I have been the only meatball in the rice caught in a conversation about race, wondering what impression I gave to let the other person know this conversation was okay to be having. It usually ends with a dismissive "but you're not black black." As if that explanation makes it okay. Meanwhile it is ever present in my mind that I am not treated as an equal citizen. We see it in the media and news every day. We see it in our neighborhoods. Unfortunately, this really is the American lyric that Claudia Rankine so powerfully described in this book. My Series Sunday pick is Destiny's Captive, the third book in the Destiny series by Beverly Jenkins. Noah is the youngest Yates son. He loves sailing the seas with no plans to fall in love and start a family on land. Pilar comes from a family of forgers and thieves. It is in her blood. So when she chose Noah's ship to steal, it was pure business. Until Noah left her with a promise to find her. True to his word, Noah went on the hunt for the pirate woman who stole his ship Alanza. What neither of them expected was what would happen when that day came. I cannot find fault in any novel Beverly Jenkins writes. She is one of my absolute fave authors. She introduced me to the historical romance genre and writes it like no other. It is clear from the descriptive scenes that she did her research on Cuba, General Maceo, Spain, and blacks in Latin America. How can I not love reading fiction and learning history? If you read the previous two books in the Destiny series, you will be happy to know that brothers Logan and Drew, their respective wives Mariah and Billie, and their mother and Max are characters in Destiny's Captive. Yes, you'll get updates on them all as you read about Noah and Pilar. For those who haven't read the previous two books in the series, you can read Destiny's Captive as a standalone but I would not suggest it as you'll be spoiled. 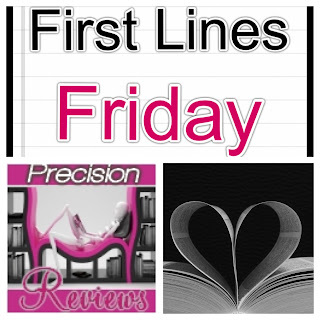 Promise me, Beverly Jenkins, that you will continue to write such great passionate, page-turning historical romances. It is bittersweet this series has come to an end with this final third book. However, I am left satisfied with the Yates boys and their lives.